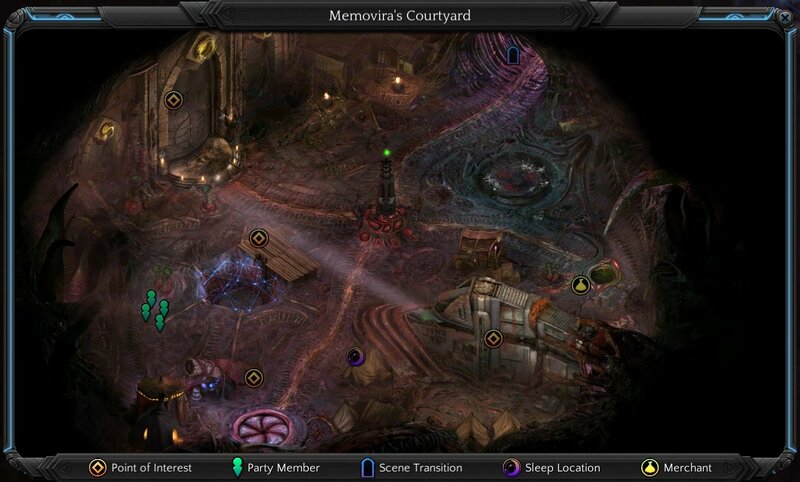 Memovira's Courtyard is a location in Torment: Tides of Numenera. There are multiple objects you can interact to gain XP and items, see our notes for info. There are some side quests for you as well, the bullied merchant will give you Twice the Trouble. And if you bought the thief from the slaver, you can set him free and find him a job, Freedman. Brusca, a guard of Memovira, will give you quest Rumblings of Discontent.